I saw this on the way into work this morning. $2.999 for a gallon of gas. 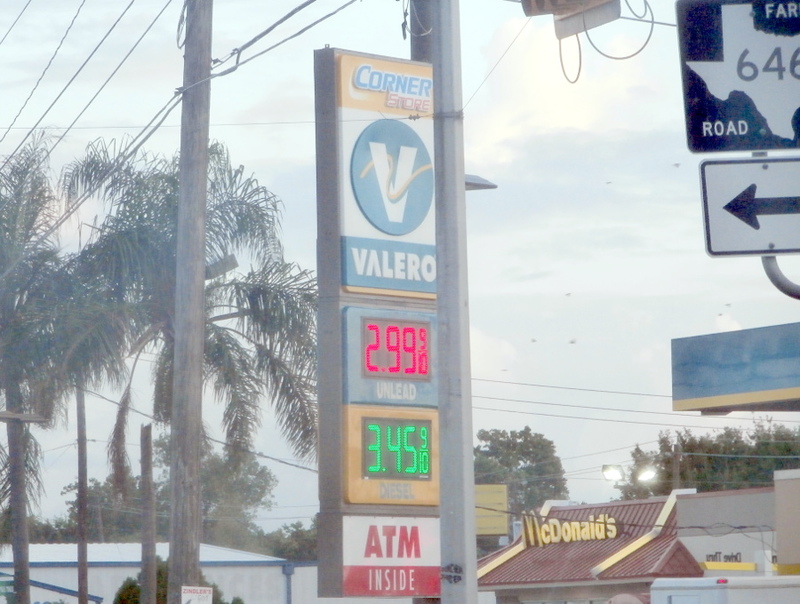 Despite the uncertainty of wars and revolution in the Middle East , Gas prices continue to drop. We just started to shift away from the summer fuel blends , and if winter doesn’t turn out to be to harsh maybe we will continue to get a break in the prices. With all the uncertainty in the Middle East could it be that we are benefiting from fracking? BTW: This is the same place that had the Siracha flavored Whoopie pies. 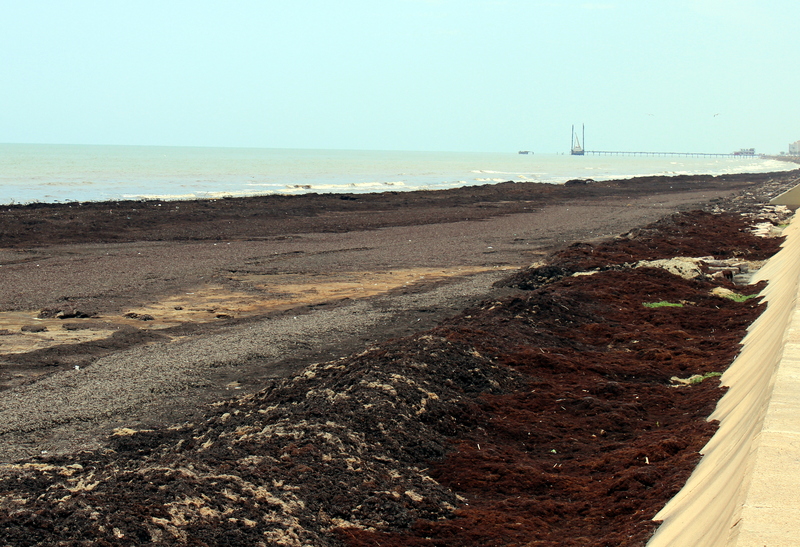 I guess the Galveston Parks Department is Just trying to make the best of things. after all there isn’t an easy answer or solution, but j think that the most of us agree that its a pretty stinky ugly mess. I didn’t notice anyone on a seaweed scavenger hunt. and its got to be raising hell with the tourist industry. 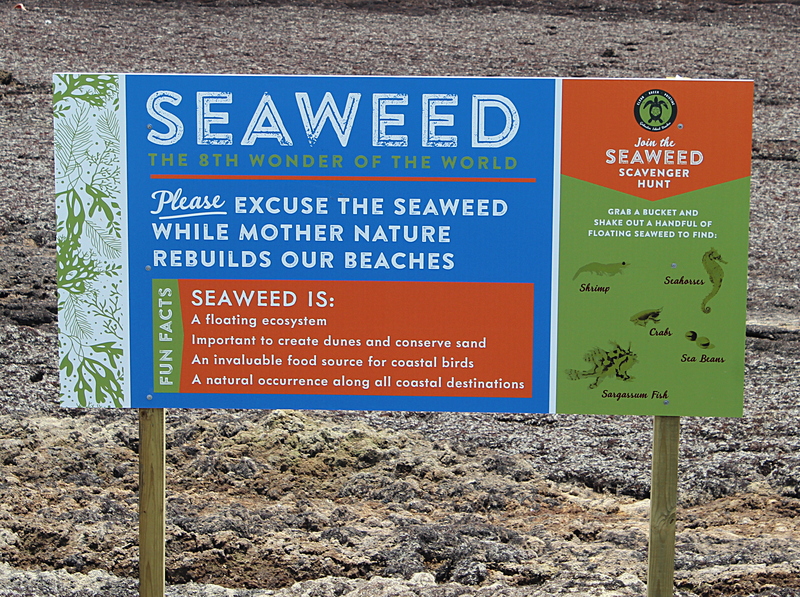 While some of the beaches aren’t this bad, there is seaweed to be found at all the beaches. Personally I’m not tempted to go scavenger hunting on this particular beach. happy hunting to those who choose otherwise. I changed the Tagline of the blog to today. 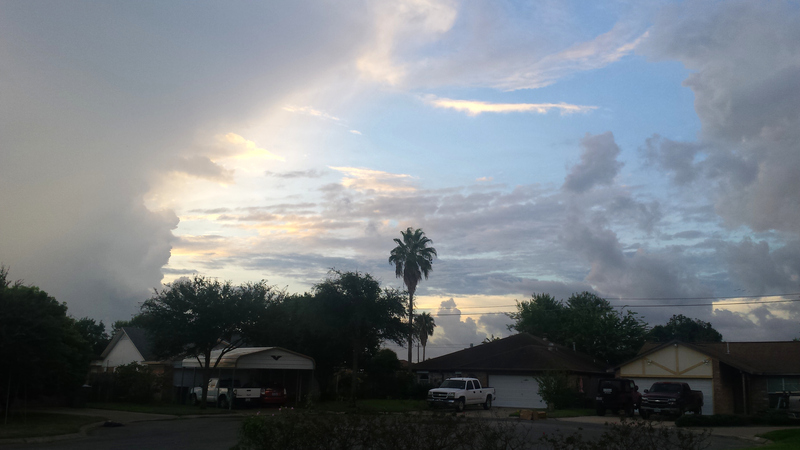 from “Observations of a Yankee Living in Galveston” to “Radio Free Galveston”. The old Tagline was lame and didn’t reflect about what the blog is really about. The new one in three small words defines the things I want to post about, and combine to make a tribute to an effective free press operation. Radio. Is my newest interest and I am fascinated by different aspects of Amateur radio. 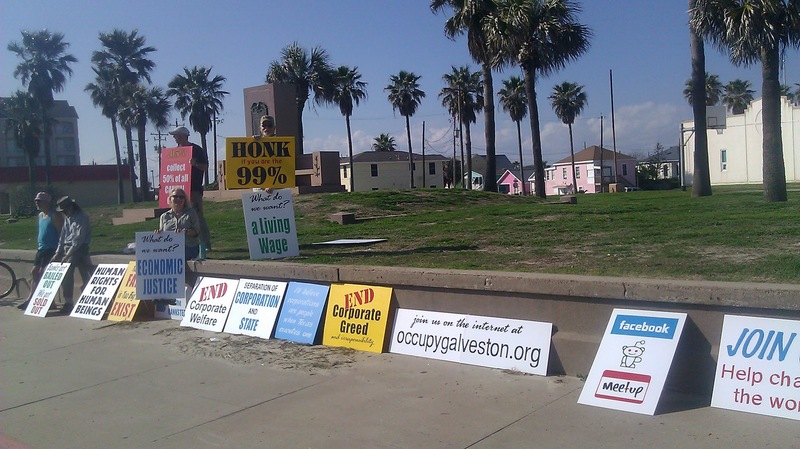 Postings of Galveston news , happenings and politics. Now that the newspaper the Galveston Daily News has turned in a shadow of itself and the website has been buried behind a paywall, There aren’t aren’t as many choices as there used to be. Free as in freemen (women too) there will always be free people and those who wish to take those freedoms away. The New Pleasure Pier opened on Galveston’s Seawall on Memorial day weekend. It is different from the Kemah Boardwalk, The Santa Monica Pier or the Atlaantic City Boardwalk. They charge $10 bucks for the privilege walking on the pier. Yet the crowds still came. Hey, Murdock’s doesn’t charge to go out on their pier. 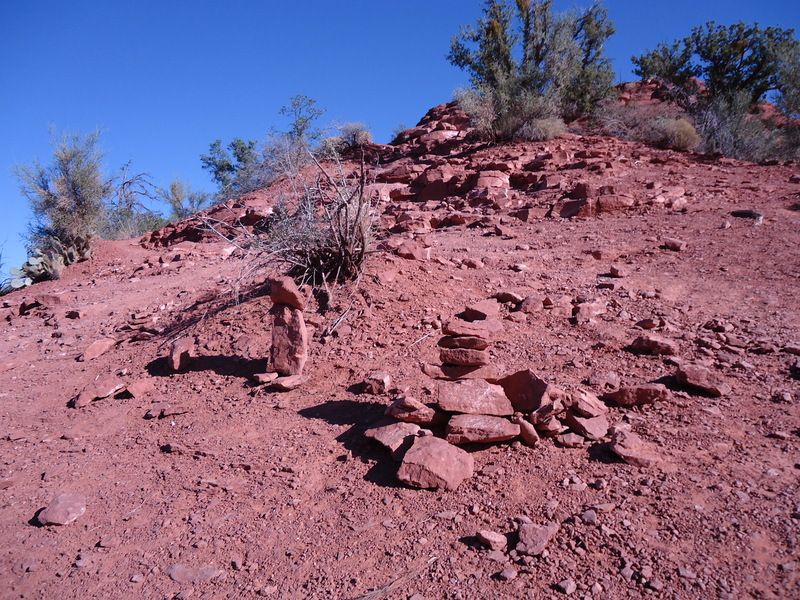 Scattered alters of stacked sandstone red rock. We went to Sedona a few weeks ago for some R & R a beautiful place that has a reputatation as a gathering place for mystics, hippys and other odd sorts. I wasn’t surprise when I visited the Airport Mesa, a place concidered a vortex, that people had stacked the red sandstone rocks to make pillers. These seemed to me to be a sort of hippy alter built assist communication with some unknown god. The formations were scattered but all around the area. I wondered what the people were thinking that would spend the time gathering and stacking these stones. It is what one should expect in the land of hippies and new agers I supposed. I have seen lots of silly things in Galveston, we here tend not to take things very seriously, and do have an apreciate of art and music, but I never expected this type of thing here. 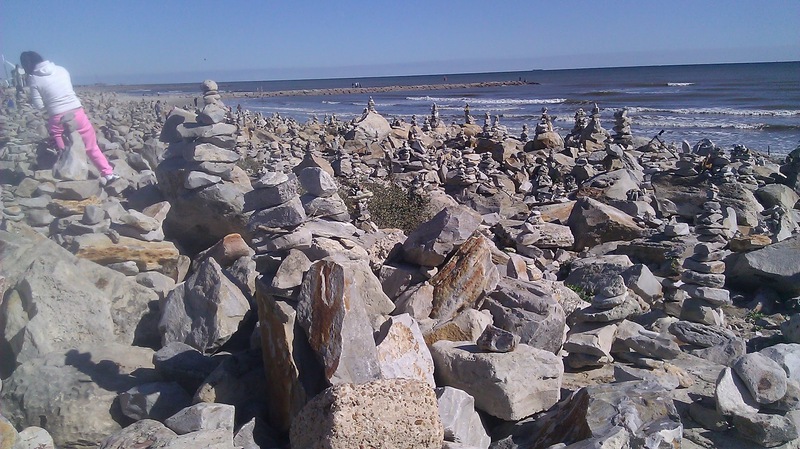 Hundreds of rock stack alters on Galveston's Seawall. On the seawall at Fort Crockett Park there was a breakwater built into the seawall made up of broken limestone rocks of various sizes. Over the last few months its grown to something rather large if not surreal. The people I saw stacking rocks seemed to be just kids doing it just for fun. But some of these were pretty massive. Every one has things they like to do for fun and entertainment, but making rock piles seems pretty weird to me. One expects to find the hippys and newagers in Sedona, but here in Galveston?? It just doesn’t seem right. 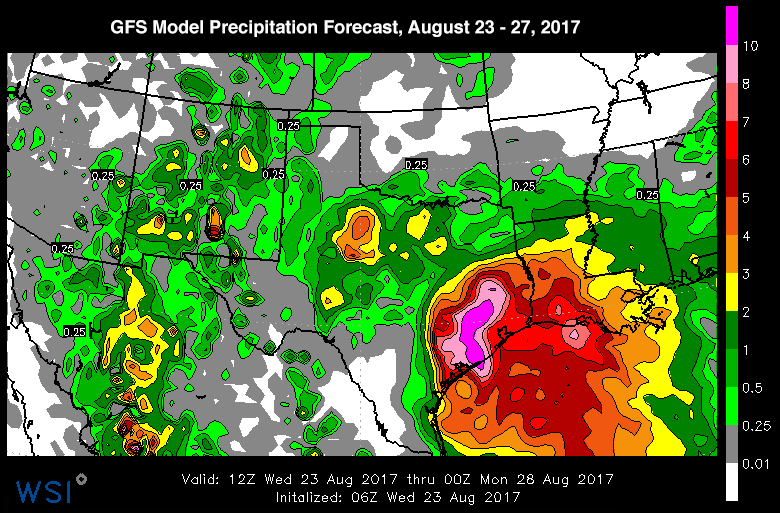 I wonder now if Fort Crockett Park isn’t a new vortex. A letter to the editor of the Galveston Daily News implies that at least someone thinks these things have some value and they may be a tourist attraction. We were promised that the enhancements to Crockett Park would be a tourist attraction. I don’t think stacked rocks was what they had in mind though. 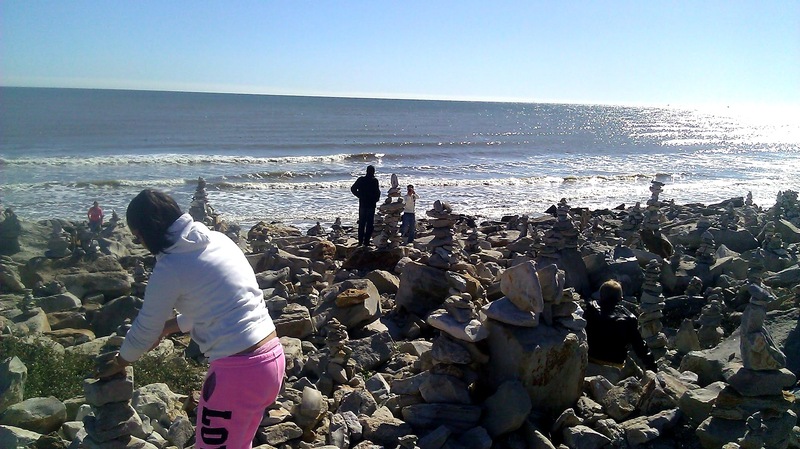 A collection of artwork involving stacks of rocks has drawn visitors to Fort Crockett Park in Galveston. I am appalled, disgusted, furious (I could go on) because some idiot, ruffian, criminal, fool (I could go on) has knocked down many of the stacked rocks on the beach at about 49th Street. They were beautiful, peaceful, intriguing to look at and already had become a tourist/resident attraction. People were stopping by to take photos, admire the work and even try their hands at stacking. This is the second time that I am aware of that they have been destroyed. I do not know what can be done, but it is a sad commentary on contemporary society that this has happened. We can only hope and pray that the artist or artists come back and restore these fantastic stackings. I don’t really have any issue with any of this, but I do find it a bit strange. Art is all in the eye of the beholder, and in this case perhaps the builder. 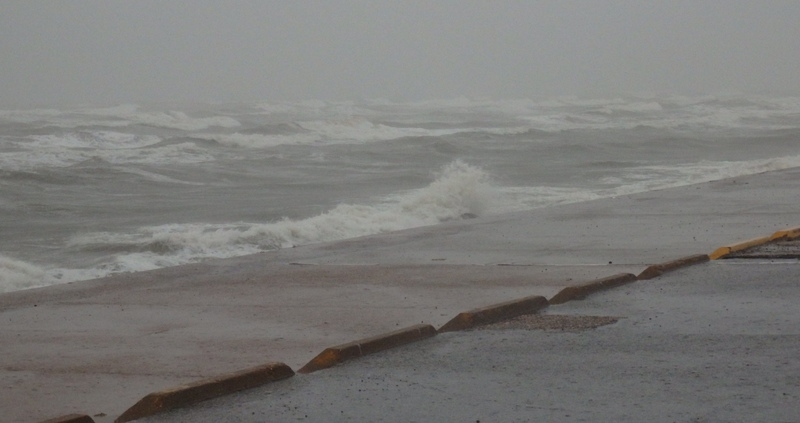 In Galveston there is a bridge. It spans an empty lot and leads to nowhere in particular. 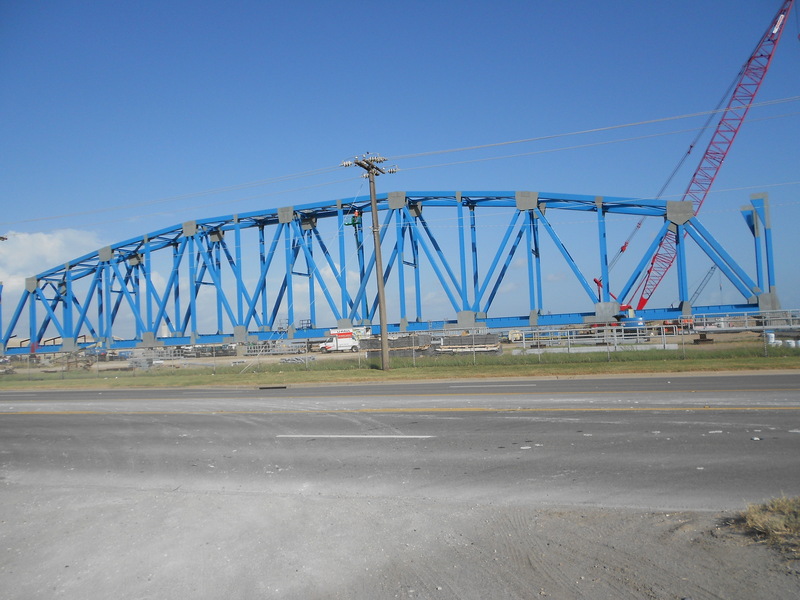 The bridge seems to have been built to replace the railroad drawbridge that runs near the causeway.